ASSEMBLY | In the East Bay, the era of very few competitive Assembly races is upon us. Four of the six races Tuesday feature Democratic incumbents with a likely stranglehold on their respective seats through at least 2024. Four years ago, legislative term limits were extended to 12 years leading to a slew of noncompetitive races for the foreseeable future. Assemblymembers Rob Bonta (Oakland’s 18th District); Bill Quirk (Hayward’s 20th District); Tony Thurmond (Richmond’s 15th District); and Kansen Chu (Fremont and South Bay’s 25th District) are all facing a lone Republican candidate. The presence of just two candidates means the June primary will be replayed in November. Expect major blowouts in Bonta’s races against Roseann Slonsky-Breault; Thurmond’s over Claire Chiara; and Quirk’s over Luis Wong. Chu is also a prohibitive favorite against former Ohlone Community College board director Bob Brunton, but expect a smaller spread the others. Chu defeated Brunton by nearly 40 percentage points in the 2014 November election. The races in the 14th and 16th Assembly Districts, however, are a completely different animal. Similar to the Steve Glazer and Catharine Baker state senate and assembly races within the last two years, millions are being spent by well-financed special interests groups. Recall, around $7 million was spent by independent expenditure committees for and against in the 7th State Senate District special election last year featuring Glazer and Susan Bonilla. In the 14th District race to replace the termed out Bonilla the June primary has become a proxy war between charter school and public education advocates. EdVoice, an IE backed by some of the deepest pockets in the state in favor of charter schools, have already spent more than $2 million for moderate Democrat Tim Grayson. His opponent, Mae Torlakson, also a Democrat, is the wife of state Superintendent of Public Instruction Tom Torlakson. Although the public teachers’ union has not kept pace with their own spending supporting Torlakson, they began to spend some money last week. If Grayson and Torlakson advance to November, expect a tsunami of IE money utterly dominating this race. In fact, it’s already on pace to break local records for IE spending. To the east, in the 16th Assembly District, a similar dynamic exists with the presence of millions in IE spending ready to be spent in the fall. Democrats lost this seat to Republicans two years ago and are vowing to take it back from freshman Assemblymember Catharine Baker. 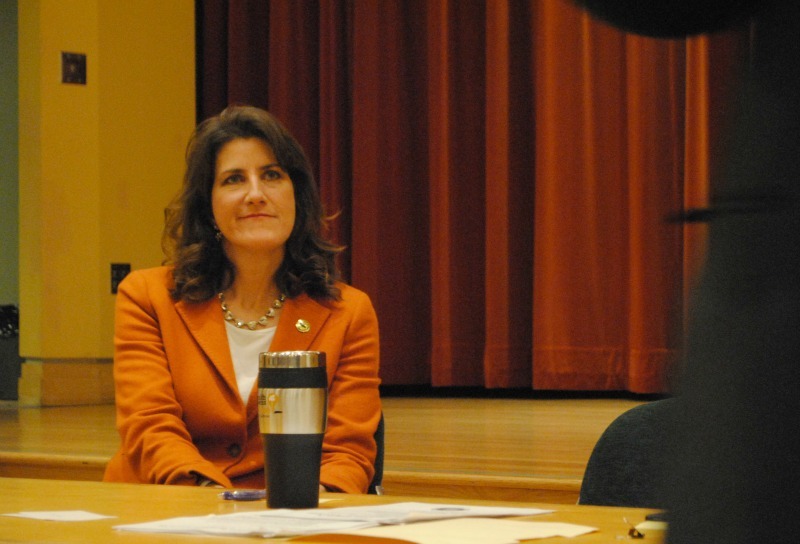 She is the first Republican to represent the East Bay in the Legislature since 2008. Assembly Speaker Anthony Rendon thinks former Pleasanton Councilmember Cheryl Cook-Kallio can take back the moderate Contra Costa County and Tri Valley seat. This will likely be the Democrats last chance to avoid Baker becoming entrenched in that seat and good second-place primary showing from Cook-Kallio could excite local Democrats. In addition, because of the moderate composition of the district and uncertainty over the role of Donald Trump atop the ballot the fall race presents several unknown variables for Baker. STATE SENATE | Many political observers were salivating over the potential of a Glazer-Bonilla rematch this year. Bonilla, though, put those rumors to rest last fall when she announced, with a touch of bitterness, that she would not challenge Glazer. That decision rendered this race a cakewalk for Glazer. In the fall, he will face either fellow Democrat Guy Moore or Republican Joe Rubay. CONGRESS | Alameda County’s two members of Congress won’t be facing much competition this June, or November, for that matter. Immensely popular Oakland Rep. Barbara Lee is facing former Alameda County Republican Party chair Sue Caro in the 13th Distirct. 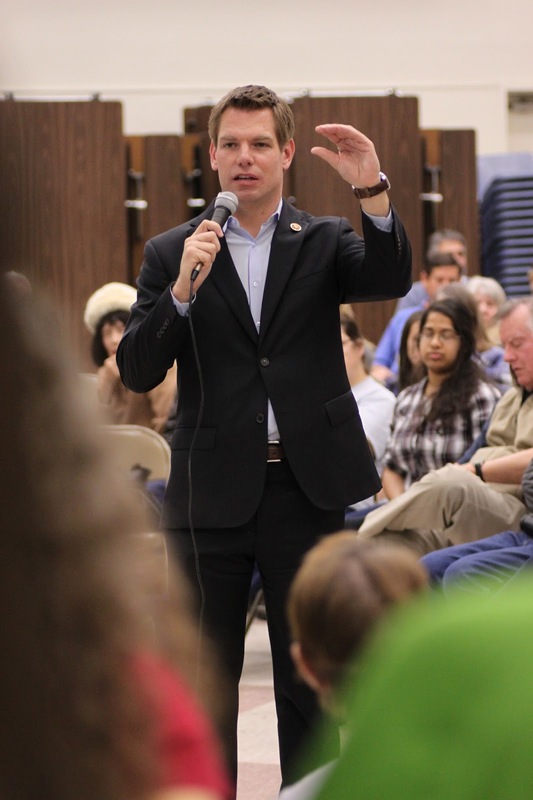 Popular Tri Valley Rep. Eric Swalwell is facing Republican Danny Turner. In fact, neither of these seats will change hands unless on their own terms. Lee could be ambassador to Cuba one day and Swalwell might think the U.S. Senate needs an expert in Snapchat. Posted in Assembly, Catharine Baker, Cheryl Cook-Kallio, congress, Eric Swalwell, independent expenditure committees, June primary, Mae Torlakson, Rob Bonta, State Senate, Steve Glazer, Susan Bonilla. Bookmark the permalink. 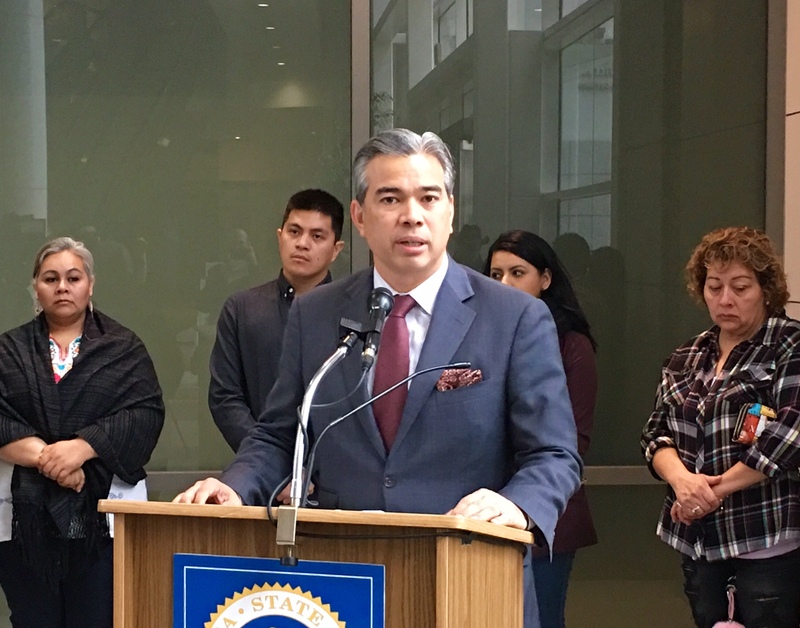 Rumors out of the state capitol are that nobody likes Bonta much, hence his inability to meaningfully move legislation and his repeated failed attempts at becoming speaker. Sounds like Bonta's too slimy even for Sacramento. On the whole, this university from California State is ranked 4 on the list of all world’s colleges and universities. There are 21 Nobel laureates among Stanford’s personnel, have a peek at this web-site to find more.